Straddle Carrier offers a solution for the handling of bulky loads in open, enclosed and confined areas. 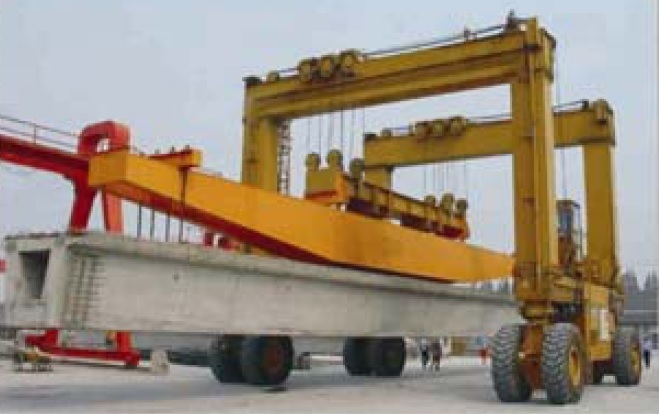 Compared with normal gantry crane running on rails, straddle carrier offers the flexibility and manoeuvrability as it can travel longitudinally, laterally and diagonally as well as rotating 90° at point of origin. The specifications are customised to clients’ requirements.